I never really used to understand the big deal about the sea. Metropolitan town born and bred, I never felt particularly enthusiastic when my parents would express their desire to one day live by the coast. “But why? The sea dun’t do anything”, I would debate. I spent several Saturdays of my teenage years in our beach-hut at Tankerton and with the exception of those really hot, bright Summer days in which we could get the dinghy out I would normally just sit inside the hut shivering and cursing the cruel, cold air, just waiting to go home, to Watford. And then I grew up, and started to pay a lot more attention to our landscape and the environment around us. Moving down to East Kent – with all it’s cobbled streets, historic buildings, coarse beaches, deep forests, and valleys adorned with bright scarlet poppies or neon yellow canola – slotted in perfectly with this. I began to realise how much I really appreciated the great outdoors, and just how beautiful it can be, and how even its imperfections can be a source of stimulation. There’s something about this particular time of year which doesn’t fill me with too much inspiration. It’s that awkward, gloomy little period between the fresh heated glow of Autumn and the festive warmth of the run up to Christmas, with it’s illuminating snowy skies. Sandwiched in between those two somewhat cheerier bookends, we have November. November, where daylight is a fleeting moment and the rain bounces monotonously off slippery pavements that shimmer orange underneath the street-lamps. On a working day, it’s that image which seems to be my only experience of the outdoors. Oh yeah – and if that’s not bad enough, it’s freezing cold too. 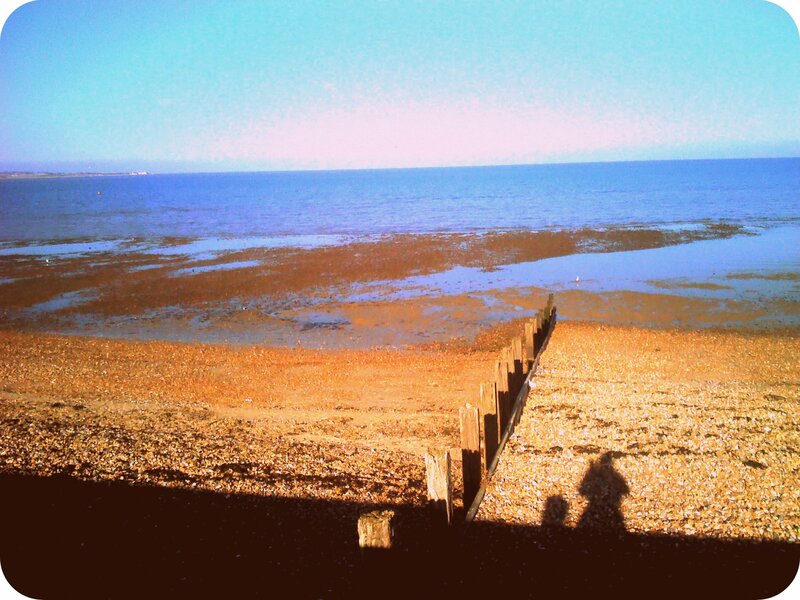 That’s why over the weekend it was nice to visit Seasalter, even if only for 5 minutes. 5 minutes just to pause and look out to an open sea, a sea which spans 70% of the Earth’s surface. A sea which throughout thousands of years has remained resiliently lapping up to the shoreline – ebbing and flowing, but always there, always going. This movement is profoundly peaceful to look at, and sitting there on the sea wall, breathing in the fresh salty air, I remembered how important it was to take that time every now and then just to relax and reflect – to just observe the world as it is, as it’s always been, and as it’s meant to be. In those 5 minutes – everything else was irrelevant. Meanwhile… There have been two recent additions to the site. Firstly, another of my silly video things, this time from a walk around Blean Woods. Secondly, an account of one of the more unfortunate episodes from last year’s trip to Egypt. Destroyer is the musical alias of Canadian singer-songwriter Dan Bejar, fellow frontman of indie-supergroup The New Pornographers. Predominantly indie-rock, Destroyer’s music draws upon influences from a variety of decades and genres, mixes it all up, and puts its own unique stamp on it. This is Winter Music.